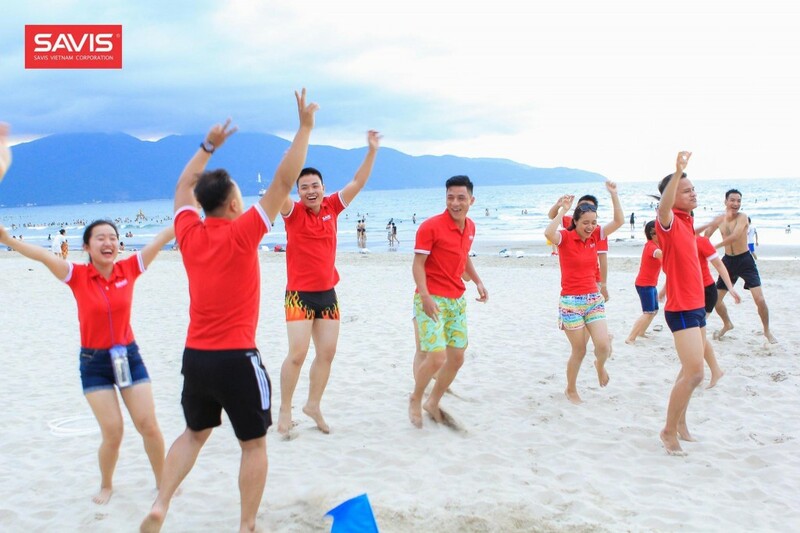 From 9th to 11th July, SAVIS Vietnam Corporation held Summer Teambuilding 2017 with the slogan “Teamwork Makes Dream Work” in Danang City, Vietnam. During the 3 days here, Savisers participated in many challenging, competitive and exciting activities on the beach and at the Gala Dinner. The whole staff enjoyed together and strengthen their solidarity internally. This year had totally 3 teams: “Pork”, “Get High” and “Chili Sauce”. They were carefully prepared from the team introduction clip to the distribution of Participants in the challenges. Every single part of this teambuilding was full of laughter and team spirit. The highlight of this year’s event was probably the SAVIS Bikini Contest. Under the hands of generous sponsors, the contest brought new experiences and excitement to all Savisers. SAVIS Summer Teambuilding 2017 has closed successfully. Company hopes that its resonances will remain and motivate all Savisers.